Q: What does it mean to assess? A: Assessing is simply taking a measurement of progress, knowledge, or mastery. Q: How do formative and summative assessments differ? A: Formative assessments are used periodically throughout the instructional/learning process to determin progress. Summative assessments are given at the end of a unit of instruction to show mastery. Q: Why might a pre-assessment be used? A: Pre-assessments are great tools to take a quick read on where the students are prior to learning. They can show the teacher which areas need more focus. Q: What are some good assessment methods? A: Prea-ssessments could be given using a traditional quiz, KWL charts, quick writes, or just an informal classroom discussion. 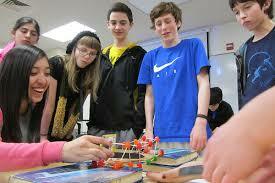 Summative assessments can be in the form of a final project to demonstrate mastery (i.e. piece of writing, artwork, musical composition, multimedia presentation, live demonstration). Q: What does the teacher do with the data collected? A: Ideally, the teacher uses the data to guide his/her own teaching. Are the students ready to move on? Is there an area that needs to be retaught using a different method/resource? Are there trends rising to the top? Are there students who need some one-on-one help? Q: What does the student do with the data collected? A: Ideally, the students uses the data to guide his/her own learning. If assessments are valid tools, and teachers give valuable feedback (in a timely manner), then they can be utilized to shape the students’ knowledge and skills acquisition. This entry was posted in Alternative Assessment, Education and tagged assessment, data collection, teaching. Bookmark the permalink.